The Fisherfolk of Bottle and Glass village in Barrouallie, St. Vincent and the Grenadines will soon be able to catch more fish, faster than before and using less gas. This will be made possible by the placing of ‘shelters’ called Fish Aggregating Devices or FADs in the ocean. Fish are attracted to these floating structures or FADs and as they gather around them, the fishermen would find it easier to catch them. Fish that can be caught around FADs include mahi mahi, wahoo, marlin, swordfish, skipjacks, dolphin and tuna. 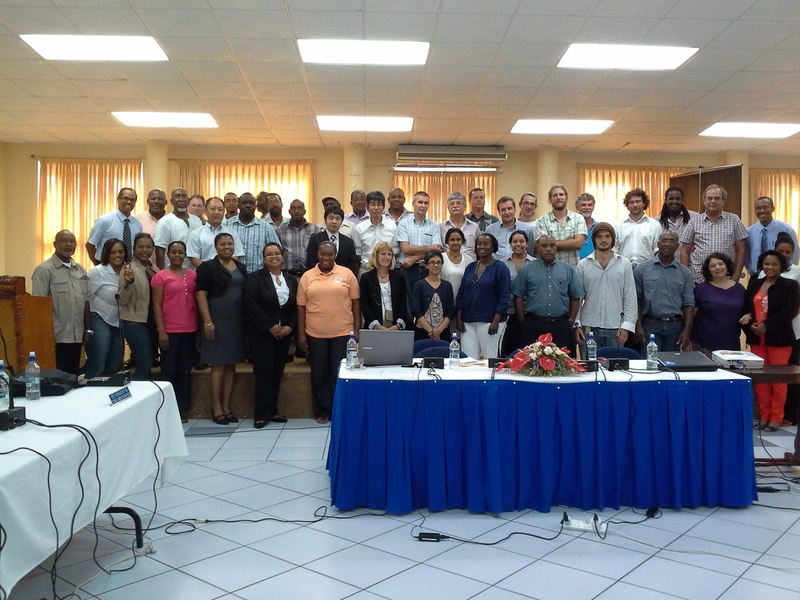 The FADs are being developed and placed by the Caribbean Fisheries Comanagement (CARIFICO) Project which is being funded by the Japan International Cooperation Agency (JICA) in partnership with the Caribbean Regional Fisheries Mechanism (CRFM) and the Fisheries Division in the Ministry of Agriculture, Rural Transformation, Forestry, Fisheries and Industry. 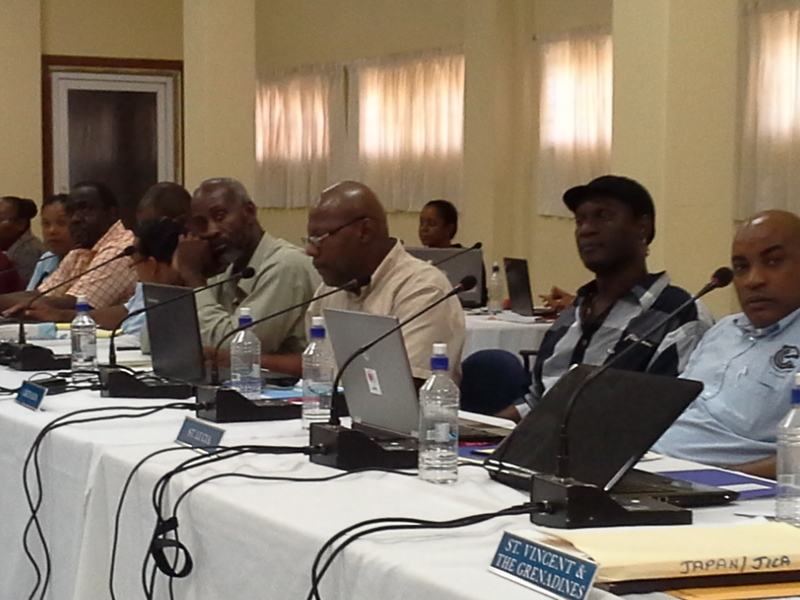 On Thursday, 3rd April 2014, a Fishers Consultation was held at the Barrouallie Fisheries Centre with a team of stakeholders as well as Japanese experts Mr. Nariaki Mikuni and Mr. Mitsuhiro Ishida. 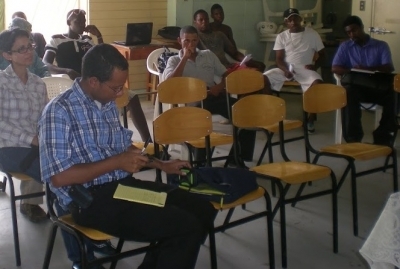 Mr. Travon Ferary, Fisheries Assistant, welcomed the group of about twelve fishermen and introduced Mr. Ishida who made a presentation on the construction of the FAD, materials to be used and methods of deployment, illustrated by colour photographs and diagrams. He emphasized the importance of choosing a good location and depth to place the FAD; where the maximum amount of fish would gather. The fishermen requested assistance from the Fisheries Division in choosing the best site and arrangements were made for staff to accompany the fishermen out to sea the following day. Interest in the Project is low at present, but it is hoped that the fishers who were present at the meeting would spread the word about the benefits of using a FAD. In his remarks, Mr. Mikuni appealed to the fishermen to encourage their friends to participate in the Project because the FAD will belong to them and would benefit the entire fishing community, bring more income and a better way of life for the fishers and their families. 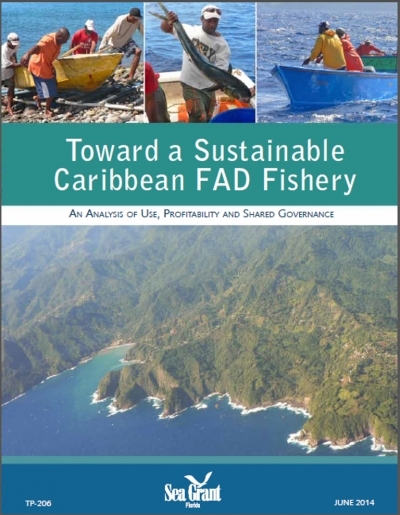 In conclusion, the local fishermen were advised to work along with Mr. Shamal Connell, the CARIFICO Liaison Officer for the west coast and in a spirit of unity for the success of the CARIFICO Project in St. Vincent and the Grenadines.